I suffer from the 'I see it and I must have it' disorder - and I know I'm not the only one! Click on the links/photos below to see the full blog post on my 'celebrity copy-cat' dresses. 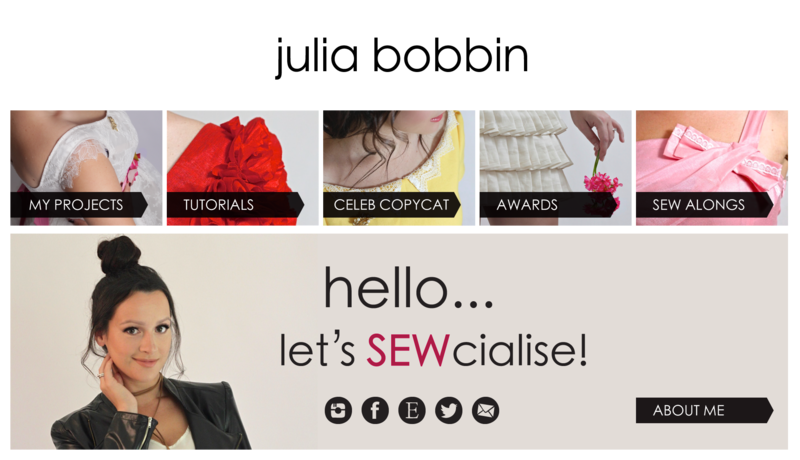 Have just found your blog, your projects are amazing considering you have only been sewing since 2009, well done. Oh, I too have just discovered your blog. It came about via a friend who "liked" a fabric FB page, idly curious I thought...oh wonder what that shop is like (as one does). You had commented on the page showing the dress you made with the black lace from the Boxing Day sale. I loved the dress and your blog! Gillian thank you and welcome! 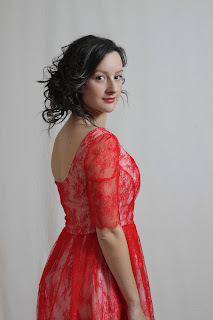 Your feedback is so lovely to hear and I'm so glad you enjoy my blog and that black lace dress! My goodness you're a brilliant sewer! Your garments fit you so amazingly well and look as good if not better (particularly the blue dress) than the one you're copying! I was just Googling how to make sleeves and I found your beautiful rose sleeves! I'm a complete novice so I'm going to have to build up the courage to try to make them. Your designs are gorgeous and you're very talented. I'm looking forward to seeing more. 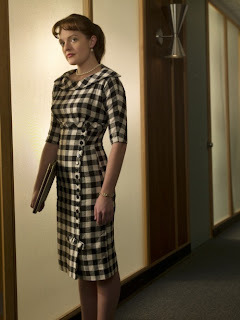 Found your blog when searching some Burda pattern. Your work is every inspiring.It seems to take years of experience but you did it in the last couple years. Btw I am gonna try to let my partner to use the seam ripper. Your work is brilliant! Love it so much! I have to say I much prefer your versions of these copycat dresses!! 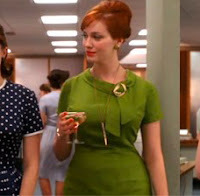 I absolutely looved your frocks and you look stunning in them! Congratulations!! 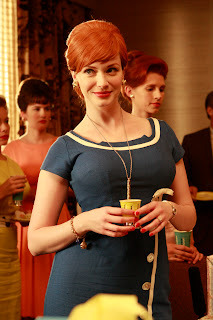 What stunning outfits - absolutely adore the Joan Holloway dress! Your Celebrity Copycats are very inspiring, particularly your Megan and Joan Mashup. Another one for my notebook. Wow! What a great idea! And the clothes look so stylish! I'm relatively new to sewing and I'm trying to make clothes based on paintings. I've not got very far yet...my results to date are on http://frockfriday.co.uk/ You'll see I'm still researching. some beautiful stuff! I like the small modifications to create some cleaner lines and more modern silhouettes. Nice edits.